A government which keeps its word must be lauded. As for those who had the opportunity to serve the people but let go that chance and resorted to naked propaganda – a cornerstone of their stewardship – they must be shunned completely. Their legacy should have been visible for all to see; they would not have had to expend energy in composing lies for their propaganda missions. Allowing this crop of people near political power is to close our eyes to the state of backwardness they plunged the country into. The Northern Region and its counterparts in the Upper East and West regions were subtly denied physical developments when the previous political order was at the helm. 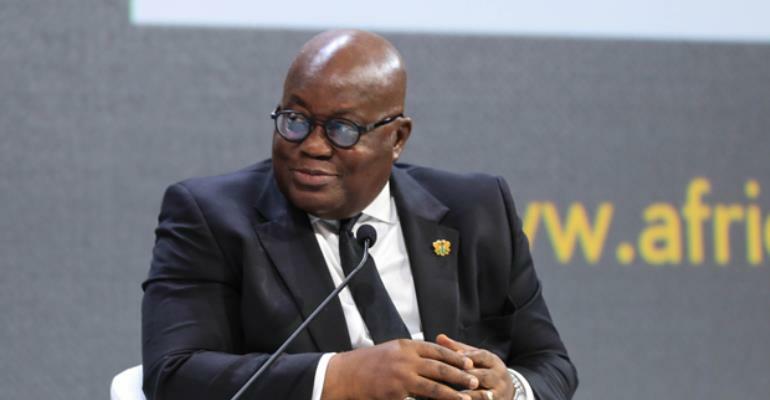 These parts of the country were treated to streaks of promises which never came to pass even as the NDC continued to flaunt, especially the Northern Region as the country's segment they could count on to give them substantial votes at the polls. Yesterday, President Akufo-Addo cut the sod for the commencement of work on the first interchange in the whole of the three northern regions in Tamale. That the project escaped the machinations of the NDC whose leadership sought to scuttle it is a thing worth celebrating. From the date the President mooted the idea, some politicians sulking over the fact that they won't be credited with the landmark project upon its completion, started their diabolic sabotage. It was a mission which took them outside the frontiers of this country. Unfortunately, the source of the financials which is an elaborate barter arrangement steeped in value for money ignored the manouvres – the superior arguments of the good people of Ghana as represented by the President winning the day. Now we have it, they don't. Tamale has come a long way from the days when the northern parts of the country constituted the Northern Territories under the British colonial administration to the post independence era when it morphed into the Northern Region. Of course, it deserves what the government has brought to it and many more. Now that multiple evidences are springing up to add to the existing list of feats of the Akufo-Addo administration, more Ghanaians would keep away the NDC generated dust from their eyes if they were unable to do so earlier. The President continues to chalk up novelties. The first celebration of independence outside Accra, an interchange in Tamale and before that the restoration of peace in Dagbon – a feat which others before him could not achieve – are part of his record sheet. The 'bula matari' or 'breaker of rocks' as the Yaa Naa dubbed him is just apt. The people of the Congo referred to the Welsh explorer Sir Henry Morton Stanley as such in their local tongue, because of his extraordinary feats in the nineteenth century.